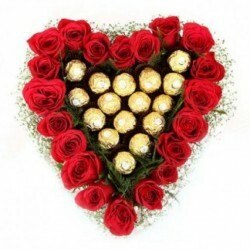 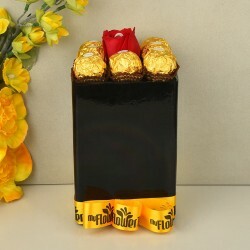 Send Flowers with Chocolates anywhere, Anytime - The fondness and admiration for chocolates is boundless. 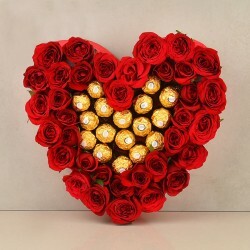 Keeping that in mind, we have equipped all our chocolates with distinct flavours and assortments such as white, milk and dark chocolates along with distinctly flavoured chocolates and assortments to give you more choices to select from. 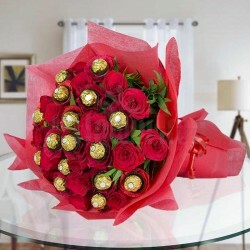 Combined with a fresh bouquet of flowers, it will make for an excellent option for all occasions. 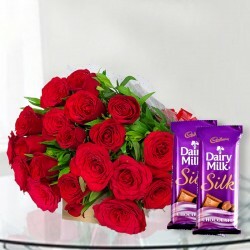 Products in this category have been rated 4.7 out of 5 based on 141 reviews.